This state­ment is being issued on the 27th of April 2018 and super­sedes all pre­vi­ous state­ments on the sub­ject. The Gen­er­al Data Pro­tec­tion Reg­u­la­tion (GDPR) (EU) 2016/679 is a reg­u­la­tion in EU law on data pro­tec­tion and pri­va­cy for all indi­vid­u­als with­in the Euro­pean Union. Since Britain is (still) part of EU, GDPR applies to and is rel­e­vant to all British cit­i­zens. GDPR is stricter to the cur­rent­ly enofre­ca­ble reg­u­la­tions as set out in Data Pro­tec­tion Act 1998. 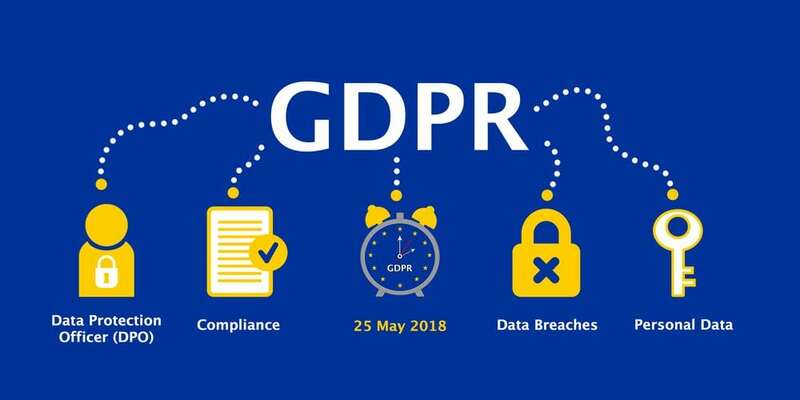 The GDPR applies to ‘per­son­al data’ mean­ing any infor­ma­tion relat­ing to an iden­ti­fi­able per­son who can be direct­ly or indi­rect­ly iden­ti­fied in par­tic­u­lar by ref­er­ence to an iden­ti­fi­er. This def­i­n­i­tion pro­vides for a wide range of per­son­al iden­ti­fiers to con­sti­tute per­son­al data, includ­ing name, iden­ti­fi­ca­tion num­ber, loca­tion data or online iden­ti­fi­er, reflect­ing changes in tech­nol­o­gy and the way organ­i­sa­tions col­lect infor­ma­tion about peo­ple. The GDPR applies to both auto­mat­ed per­son­al data and to man­u­al fil­ing sys­tems where per­son­al data are acces­si­ble accord­ing to spe­cif­ic cri­te­ria. This could include chrono­log­i­cal­ly ordered sets of man­u­al records con­tain­ing per­son­al data. Per­son­al data that has been pseu­do­nymised – eg key-cod­ed – can fall with­in the scope of the GDPR depend­ing on how dif­fi­cult it is to attribute the pseu­do­nym to a par­tic­u­lar indi­vid­ual. Infor­ma­tion relat­ing to the com­mis­sion or alleged com­mis­sion of an offence by the data sub­ject. Nikah of Aisha Sid­dique d/o Abdul­lah Sid­dique was per­formed on the 13th of June 2018. What steps do we need to take? When there is a need for to collect/process per­son­al data, you need to be care­full and com­ply with GDPR. There are a few steps which need to be tak­en by your organ­i­sa­tion. Why? Your rea­sons for the need to col­lect or process data need to be reviewed. Why do you col­lect it and is it nec­es­sary? Where does the data come from? Who do you share it with? Chil­dren: GDPR places a lot of empha­sis on col­lec­tion of and pro­ces­sion per­son­al data for chil­dren. Your organ­i­sa­tion needs to ensure that parents/guardians are pro­vid­ing ade­quate con­sent and the data of chil­dren is pro­tect­ed. Your organ­i­sa­tion also needs a way to ver­i­fy the age of the child and ver­i­fy parental respon­si­bil­i­ty. What are some examples of obtaining consent? There can be sev­er­al exam­ples of this and the most com­mon exam­ples are list­ed below. Remem­ber that the con­sent needs to be sep­a­rate, dis­tinct, plain and eas­i­ly under­stood. I Aisha Sid­dique d/o Abdul­lah Sid­dique grant my con­sent to Masjid Abu-Bak’r to store my per­son­al details for the pur­pose of con­duct­ing my Nikah (Islam­ic mar­riage). The infor­ma­tion being col­lect­ed is only for the pur­pose of ver­i­fi­ca­tion of Nikah and I do not autho­rise it to be used for any oth­er pur­pose. See an exam­ple of Nikah cer­tifi­cate and com­pli­ance here. I Abdul­lah Omar (DOB 01/01/1969) grant my con­sent to Masjid Abu-Bak’r to store my per­son­al details for the pur­pose of attest­ing my pass­port. The infor­ma­tion being col­lect­ed is only for the pur­pose of ver­i­fi­ca­tion of my pass­port appli­ca­tion and I do not autho­rise it to be used for any oth­er pur­pose. I also con­sent for this infor­ma­tion to be pro­vid­ed to the Home Office and UK Bor­der Agency (if and when request­ed). I Aisha Sid­dique d/o Abdul­lah Sid­dique grant my con­sent to Masjid Abu-Bak’r to store per­son­al details of my son Huza­ifa Patel attend­ing Madrasa Qasimul-uloom (Masjid Abu-Bak’r). I have pro­vid­ed his birth cer­tifi­cate as a proof of his age and as a proof of me being his moth­er. I con­sent to Madrasa Qasimul-uloom (Masjid Abu-Bak’r) stor­ing his per­son­al details for the pur­pose of his Islam­ic edu­ca­tion and all admin­is­tra­tive activ­i­ties relat­ed to the school. I do not autho­rise it to be used for any oth­er pur­pose. I Aisha Sid­dique d/o Abdul­lah Sid­dique grant my con­sent to Masjid Abu-Bak’r to store my per­son­al details for send­ing me emails. I have pro­vid­ed my per­son­al data for the pur­pose of receiv­ing emails from the Mosque. I do not autho­rise it to be used for any oth­er pur­pose.